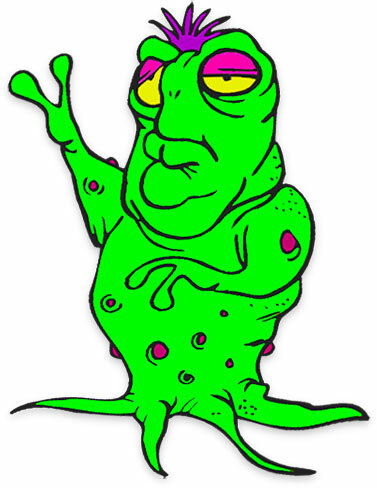 You may use our alien gifs on your personal and educational (including school projects) web pages. They may also be used on social media web sites. 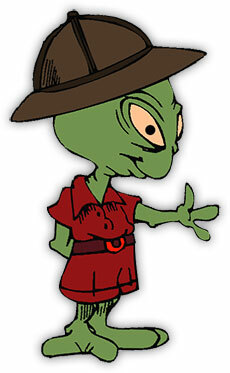 Alien dressed for a safari wearing his pith helmet. Alien with a really big eye walking. 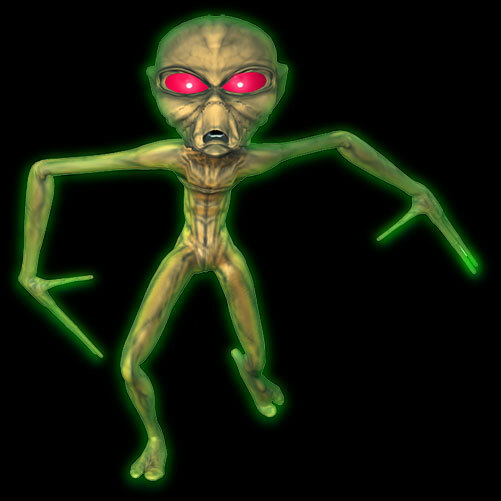 Alien with a green glow. Perhaps they use nuclear fission reactors in their space ships and they are no better at controlling the radiation than we are. Computer power or, there is an alien in my animated computer. Really big green space alien comes in peace. 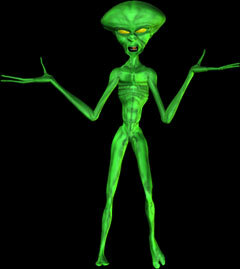 This is one laid backed alien. This gif has a shadow on a small white background. Blue eyed alien on the run. He is zig zagging so a crazy redneck must be shooting at him. He was created for black and dark BGs. Flying saucer with flashing lights. Flying saucer coming straight for you. This animation is best on darker pages.